Rubbing elbows with the likes of Amazon, Newegg, eBay, Woot, and Best Buy, the QuiBids team hit the floors of the 2012 CES market ready to explore and discover. CES was crazy, crowded, and exhausting. The sheer number of attendees were in excess of 150,000 people with 3100 exhibitors. A highlight for me was when Parrot revealed their next generation of Augmented Reality Quadricopter. The spinning quadrocopter, which flies up and down and side to side, was a gadget controlled by iOS smartphones or tablets. It lets users see what the drone sees in stunning 720p HD as it flies up to 165 feet in the air! 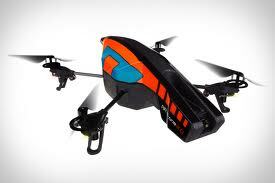 This Quadricopter from Parrot was a CES 2012 highlight for QuiBids. This is a tv/projector that has about 4 times the resolution of the current best “1080p” TV. It’s made largely in models of 60″ and bigger. The details and accuracy are nothing short of amazing. We should be likely to see a handful of new models in 2012. Several major manufacturers are coming out with touchscreen TVs – Great for early adopters and for the education channel. We heard speculation from a couple of different suppliers that the iPad 3 may be out in March, possibly with Siri and a slightly new look. Once the iPad 3 is released, the iPad 2 will drop to a price point that will compete with the Kindle Fire. Whizzing through the massive CES halls I did manage to find a few things that really intrigued me. Sony’s PS VITA looks to be a stunning replacement for the SONY PSP and set to hit gamers hands on February 22nd, 2012. With PS3 like capabilities, a touch screen, handheld convenience, and two cameras it is sure to slay its competitors with one quick joystick jab to the dual screen. Also finding its way into customers hands is the Samsung Galaxy Note “Phablet” (Phone – Tablet). At a pocket tearing 5.3″, the Note’s screen looks fantastic. With the stylus pen able to take hand written “notes” with a short double click, this phablet is the new non-apple of my eye. 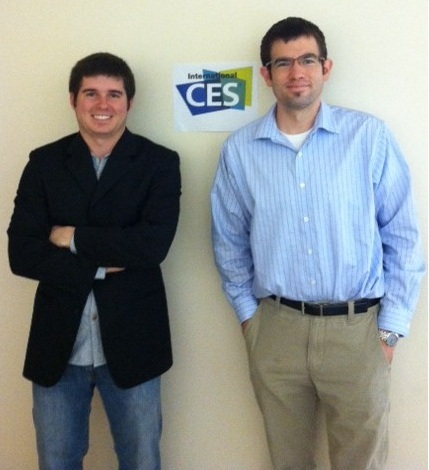 So what are your takeaways from CES 2012? Are there any products in particular that you are excited about? Leave a comment below and let us know. I would like products available 24/7 and not 3/4 products at a time at off peak times. Glad you had a good time at CES. I was there too, a lot to see!